This rare piece of furniture is imported direct from Italy. The entertainment center is constructed of the highest quality wood and is carved to give it a traditional feel. This exquisite piece of furniture has many shelves, perfect for books, movies, electronics, or anything else you desire. 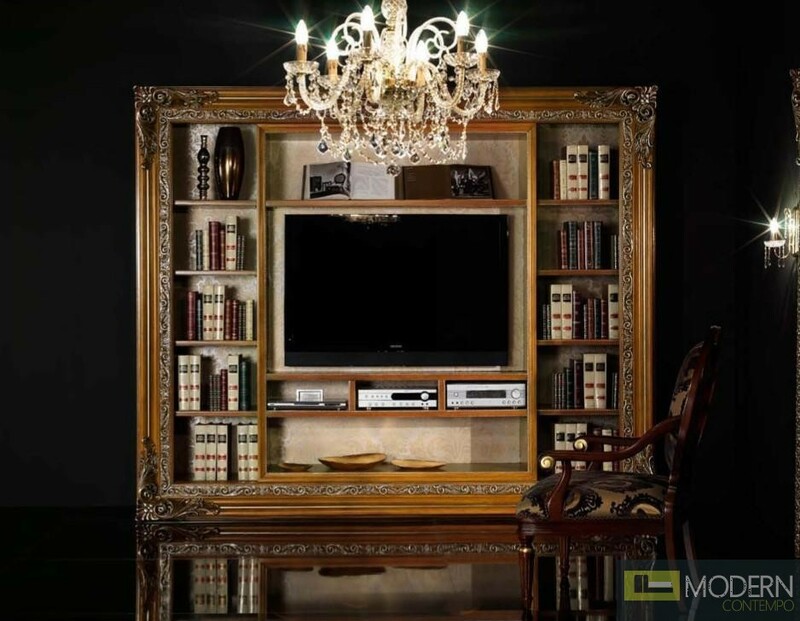 Don't miss the opportunity to make this unique, baroque style wall unit yours.